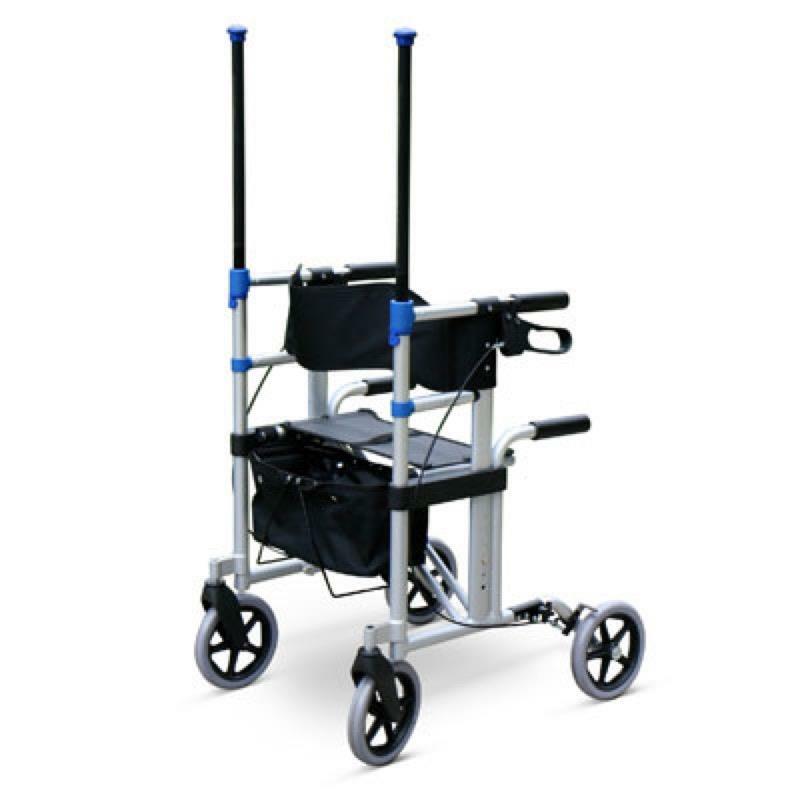 The LiftRollator is a 4 wheeled walking aid that features a stand assist feature. The two retractable grab poles help the user to stand from a sitting position and vice versa. The LiftRollator is a 4 wheeled walking aid that features a stand assist feature. The two retractable grab poles help the user to stand from a sitting position and vice versa. There are also height adjustable grab bars at the back of the rollator to further assist the user. The LiftRollator features large 8" wheels and is suitable for both indoor and outdoor use. It also has a durable mesh back rest, seat, brakes and comfortable soft grips. The handles are height adjustable to accomodate most users and there is a removable carry bag that easily attaches to the front.